Have you found your South Florida Dream Home? 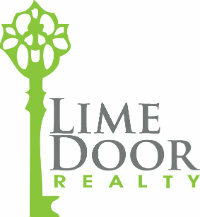 At Lime Door Realty we are passionate about assisting you with all aspects of the home buying process. Our experienced team of Real Estate Professionals combine years of local Boca Raton and Delray Beach knowledge with the experience necessary to help you find the house of your dreams! For detailed information on buying a home or property, please complete the form below describing the type of home or property you are looking for. An experienced member our of Lime Door Realty team will get back to you as quickly as possible with your personalized results!